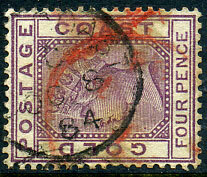 (T.2) C/OC 8 84 on QV 4d Crown CA wmk (SG.16, SG issue date March 1885). 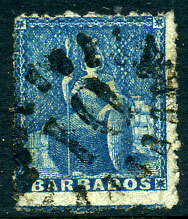 An important stamp which is used well before the official date of issue (a consignment was sent MY 15 84 which must have been on the new paper), the FORSYTH collection had CAPE COAST C/NO 14 84 on SG.16 (see "Ashanti" sale lot 155). 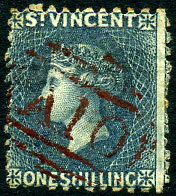 on 1863-80 QV 1/- deep green CC wmk P.14 (SG.39, Cat.£50). 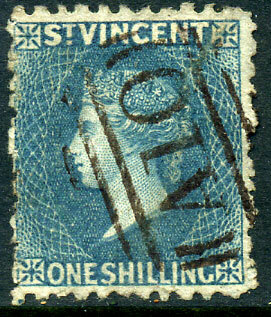 (C2) bootheel on BLUED PAPER 1870 (1d) blue large star wmk (SG.44a, Cat.£120). 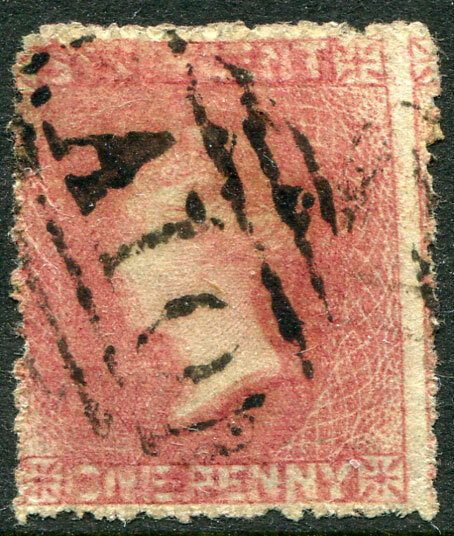 on 1863 8c pink P.12½-13 (SG.54, Cat.£85.00). 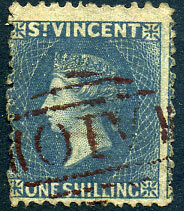 1873 QV 1/- lilac-rose (SG.20), average used pmk'd fine "A10". Cat.£350.00.